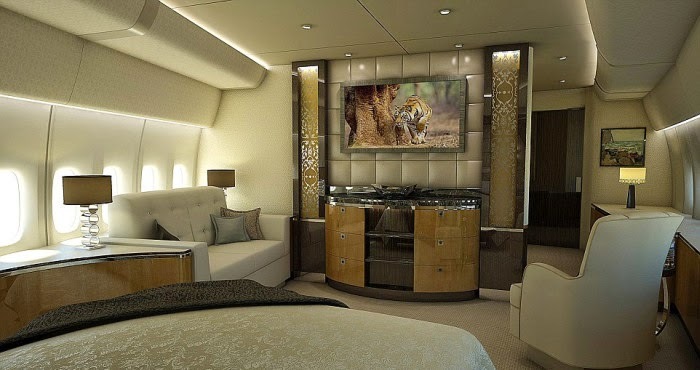 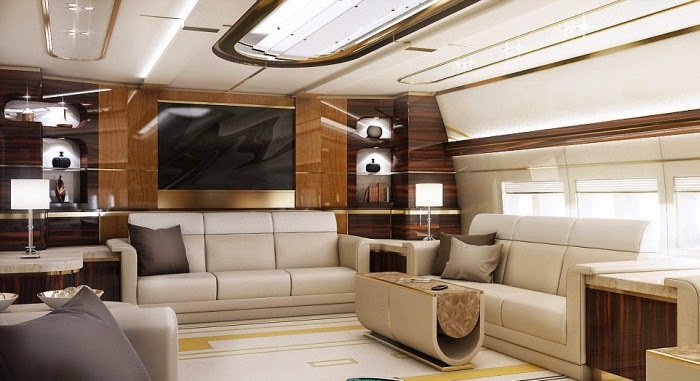 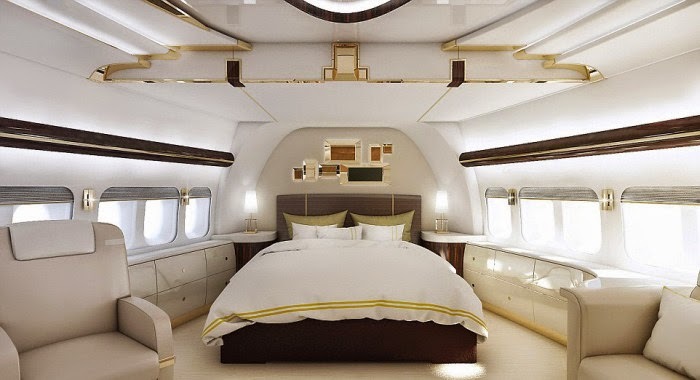 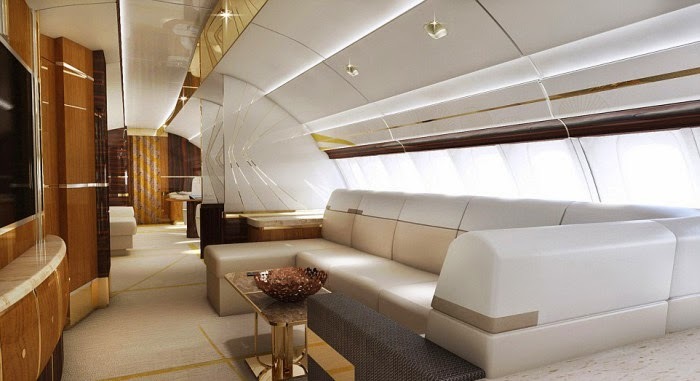 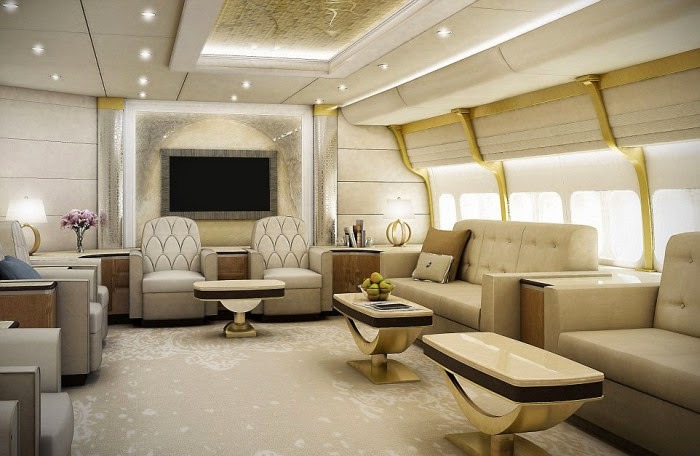 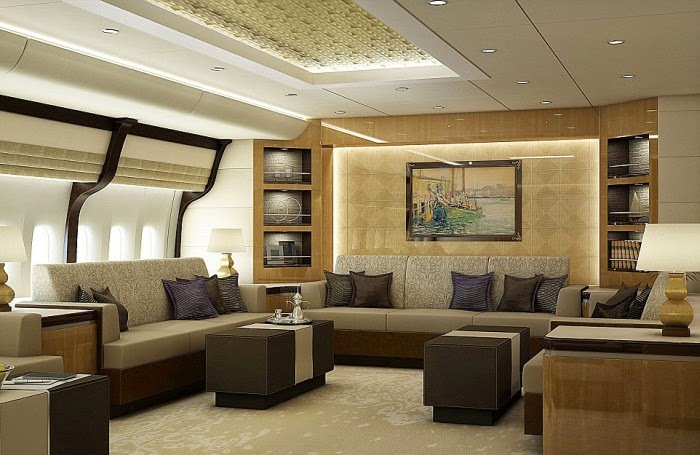 This custom Boeing 747 was built for a very wealthy tycoon and it cost him an estimated $400 million dollars. 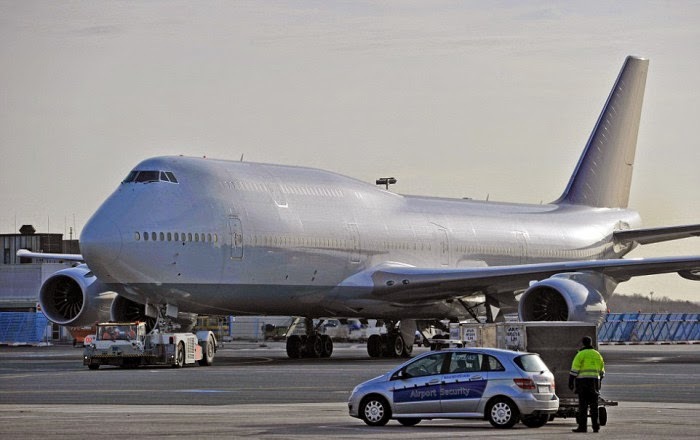 It took three years to get the specifications right but this thing is loaded. 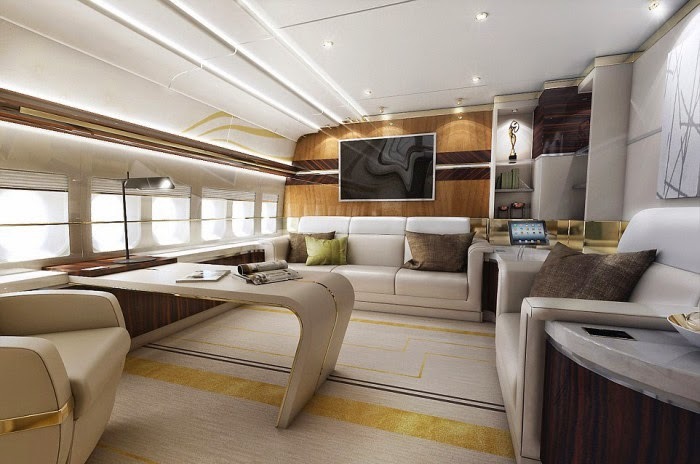 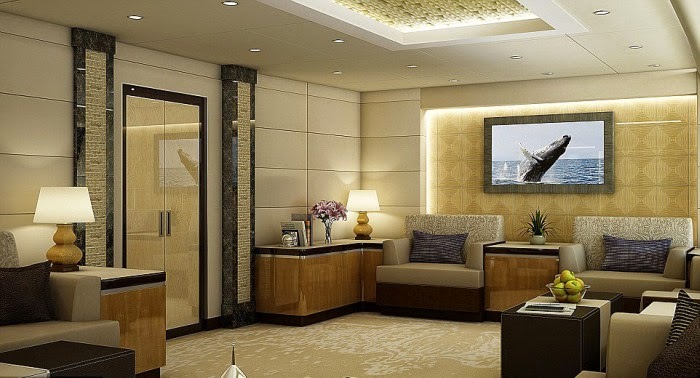 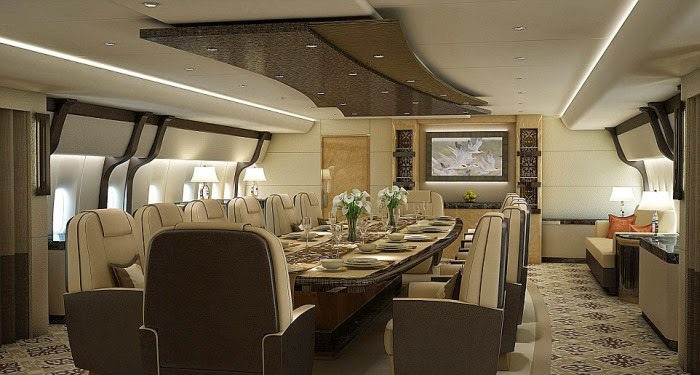 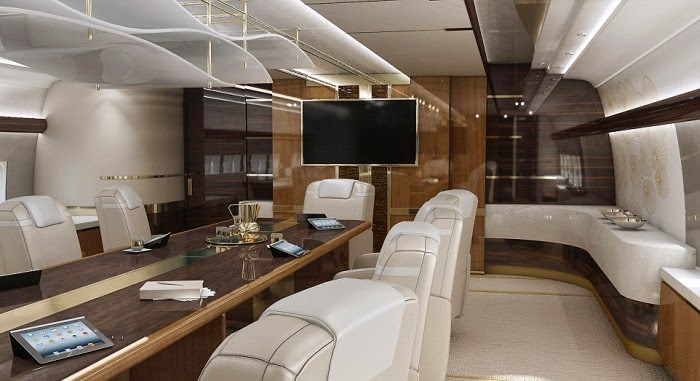 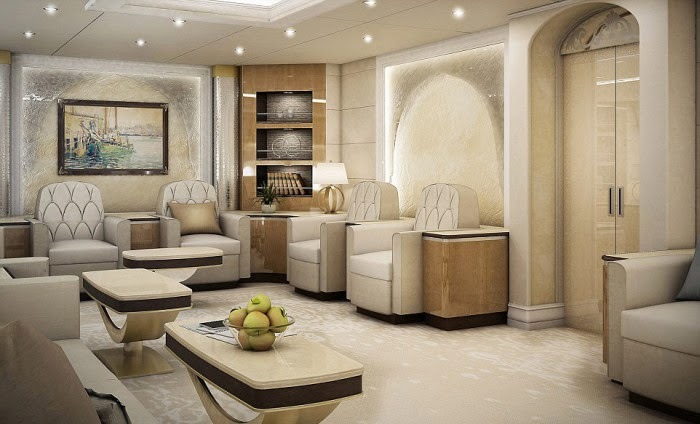 Inside the jet you will find a large dining room, a kitchen, a lounge, and even eight full beds. 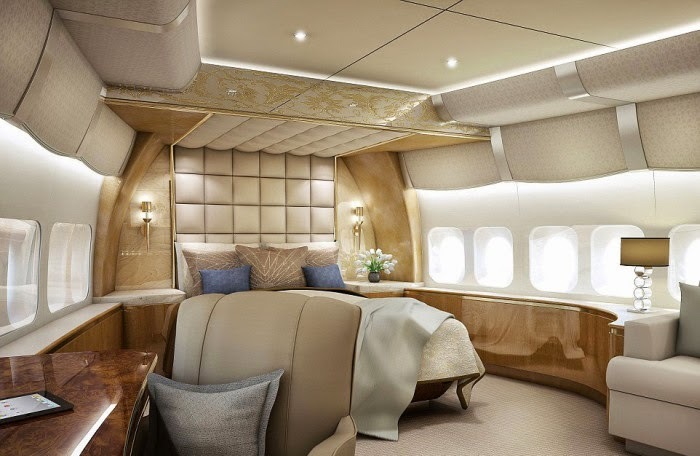 This is a plane fit for a king.